As Official Online Show Daily News and Web TV for SOFEX 2018, the International Special Operations Forces Exhibition and Conference that was held in Amman, Jordan, Army Recognition with its online Defense and Security Web TV cover this event to make you discover the latest American combat vehicles showcased at SOFEX 2018. Summary of this video: 00:25 Italian Company Leonardo new technologies of land and airborne equipment at SOFEX 2018 01:55 US Company Lenco armoured vehicle presents the Bearcat G3 off-road tactical response vehicle with elevated tactical assault system. 03:40 Polaris Gouvernment & Defense Dagor Ultra-light tactical vehicle and MRZR D2 Diesel all-terrain vehicle. 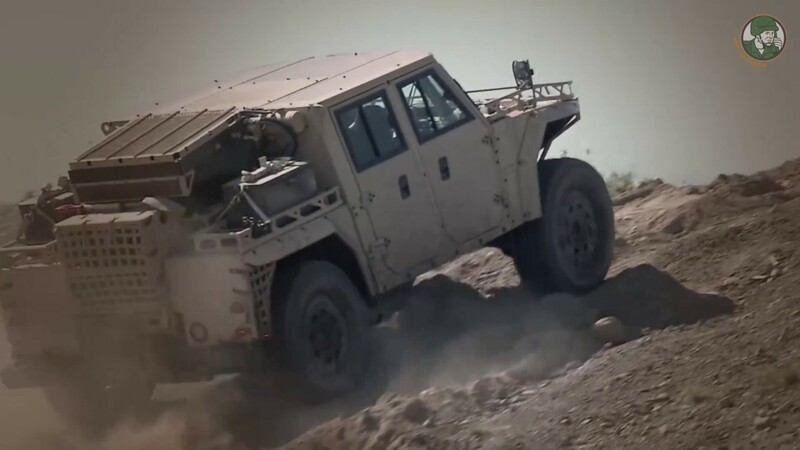 06:25 Oshkosh Defense from U.S. showcases its Special Purposes All-Terrain Vehicle S-ATV at SOFEX 2018 10:32 AM General presents its HUMVEE HMMWV Hawkeye 105mm Mobile Weapon System using U.S. Army standard M20 105mm cannon mounted on an M1152A1w/B2 HMMWV.